Two former Dartmouth College students say they've been expelled for causing a dorm fire last month, and they're asking for a second chance. Sebastian Lim and Daniel Ro say in an online petition they want to "publicly apologize" for the Oct. 1 fire. Fire officials said an unattended hibachi-style grill on the roof sparked it. Dartmouth had said that using the grill was against college policy. The dorm's 70 residents escaped, but needed new housing. A total of more than 300 were made to leave a cluster of dorms. 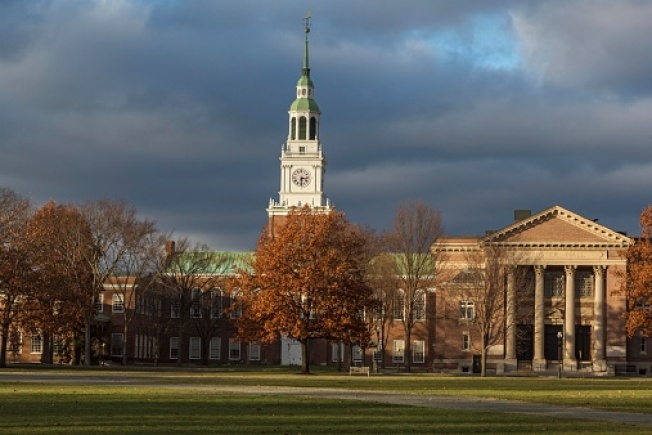 College spokeswoman Diana Lawrence said that under the Family Educational Rights and Privacy Act, she couldn't comment on Dartmouth's disciplinary process.